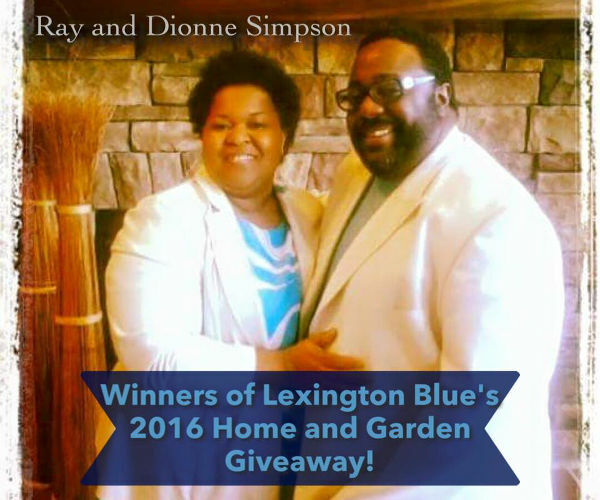 Home » Congratulations to Ray & Dionne Simpson! Winners of our 2016 Home Show Giveaway! Congratulations to Ray & Dionne Simpson! Winners of our 2016 Home Show Giveaway! Ray & Dionne Simpson have their choice of a roof replacement* or $5,000*! You are entering for a chance to win your choice of a free roof installation or five thousand dollars. Just for entering, you will also receive a guaranteed free roof inspection. Total amount of free roof replacement includes up to 24 shingle squares or the minimum amount of shingles your home’s roof requires. Total amount of squares you will receive is subject to what your property requires. There will be no credit or cash reimbursed if your home does not require the full amount of 24 shingle squares. If your property requires additional squares, you can purchase this from us at a total of $295 per square. Your entry into this drawing entitles you to receive all labor, tear off of existing 1 layer shingles and materials required to perform the installation. There are additional charges if your property requires any of the following including, but not limited to wood decking replacement or like materials, additional ventilation, metal roof tear off, structural repair, 2 layer or higher tear offs, steep of roof exceeds a 7/12 pitch, 2nd story, etc. Brand of shingle will be Owens Corning, Oakridge architectural shingles. Choice of color is optional. To qualify for the drawing entry you must be 18 years of age or older, a registered homeowner and your address must be within a 40 mile radius of 287 Pasadena Dr. Lexington, KY 40503. Your property must also be within a 40 mile radius of 287 Pasadena Dr. Lexington, KY 40503. Free roof replacement will take place during the year 2016 in the month of September. Should weather prohibit performing the installation, we will perform the install on the next available weather permitting month. Should you choose to take the $5,000 giveaway vs. the free roof replacement, you will be required to fill out a W-9 IRS form. This income will be reported. The $5,000 is not considered self employment income. The five thousand dollar giveaway will be paid out over a five (5) month period at one thousand dollars per month beginning on May 2016 with final payment being made on September 2016. The drawing process will begin at our booth #1405 on April 3, 2016 at 4:59 pm and and announced immediately after the winner is determined. You do not need to be present at drawing to win. Winner will be notified via phone, email or mail via USPS. You are also hereby giving Lexington Blue, Inc. permission to publicly display your full name(s) and details of your win including, but not limited to our website, newspapers, videos, Youtube, Facebook, Google, Twitter, etc. You must enter in person at our booth #1405 during the home show. You may obtain additional drawing entries at our booth by liking us on Facebook & checking in as well as inviting your entire Facebook friend’s list and sharing our page. Additional details about our free giveaway can be found at our booth #1405.